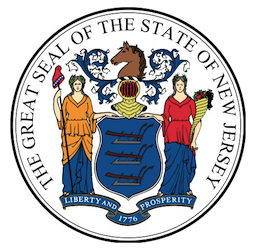 In a surprise move Monday, New Jersey Governor Chris Christie issued a Law Enforcement Directive through his Acting Attorney General John Hoffman announcing that it will no longer be illegal for the state’s racetracks and casinos to accept sports wagers. 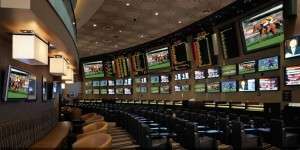 The only restriction the directive places on sports betting is that bets may not be made on any collegiate sporting events that take place in the state, nor can any bets be accepted on collegiate contests involving New Jersey schools such as Rutgers, no matter where the event actually takes place. The decision by Governor Christie is thought to be a way to throw a lifeline of sorts to the state’s casinos, which have been steadily losing customers and revenue to competing gambling venues in neighboring states. Three of Atlantic City’s casinos – Showboat, Atlantic Club, and the two-year old Revel – closed this year and the Trump Plaza is set to follow suit this month. And today, Trump Entertainment Resorts announced that it has filed for Chapter 11 bankruptcy and that it will likely close its Trump Taj Mahal casino in November. Atlantic City began the year with a dozen casinos and may very well end 2013 with just seven. Allowing the casinos to open sports books would not only give them a new revenue stream, but also increase revenue from other gambling, entertainment, dining, and shopping sources as sports bettors who would have otherwise not gone to one of the casinos make the trip to wager on sporting events. It may seem strange that there is no sports betting in Atlantic City, the traditional gambling capital of the east coast, but the Professional and Amateur Sports Protection Act of 1992 (PASPA) banned sports betting in all states except for Nevada, Oregon, Montana, and Delaware, which were granted grandfather exclusions. The states with legalized casino gambling were given a one-year window to add themselves to the exceptions list, but New Jersey declined. A federal district court sided with the sports leagues and sports betting in New Jersey remained against the law. Going further, Mr. Hoffman explains that the court ruled that New Jersey could not license entities for sports betting or explicitly authorize sports betting, but there was a specific clause put into the Sports Wagering Act that says, in essence, that if any part of the act is deemed invalid, it does not mean that the entire act is invalid. At the same time, part of the Sports Wagering Act repeals the prohibition against sports betting at casinos and racetracks. Thus, even though a sports betting licensing regime was struck down by the court, the repeal of the sports betting prohibition was not. And though New Jersey is not allowed to issue sports betting licenses, it can simply lift the sports betting prohibition and allow casinos and racetracks which are currently licensed for gambling to open sports books. It is thoroughly confusing, but extremely clever. It is indeed clever. The problem is that the legal system generally frowns on clever.